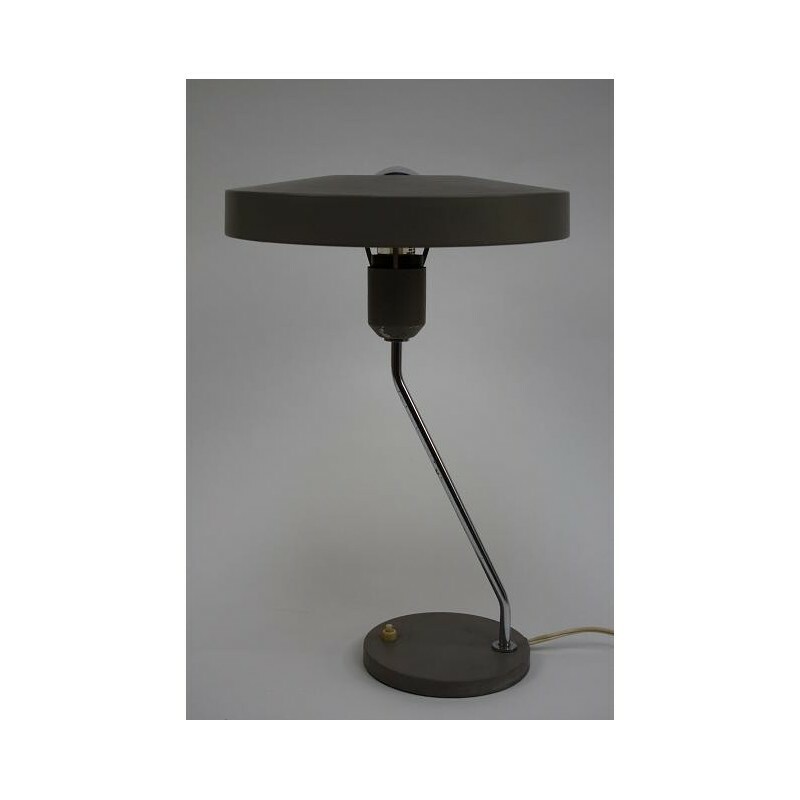 Tablelamp of the brand Philips, designed by Louis Kalff. The colour of the lamp is grey with chrome, the lamp is in a resanoble condition, there are some spots of oxidation visible. 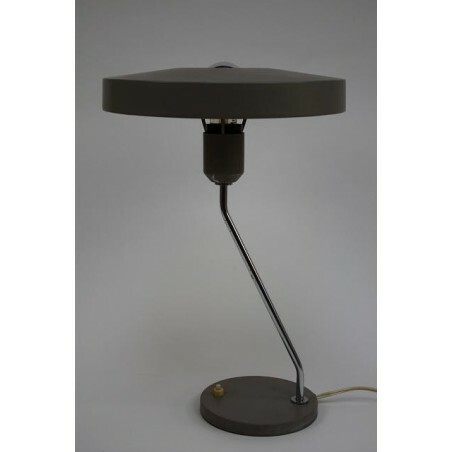 The height of the lamp is 42 cm and the cap is 28 cm in diameter.